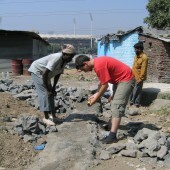 Members of the Projects Office and students from the Architecture school at the CASS have been collaborating with stone quarry worker settlements and the Navi Mumbai based NGO Association for Rural People’s Health and Educational Needs (ARPHEN) on a community classrooms project since 2008. 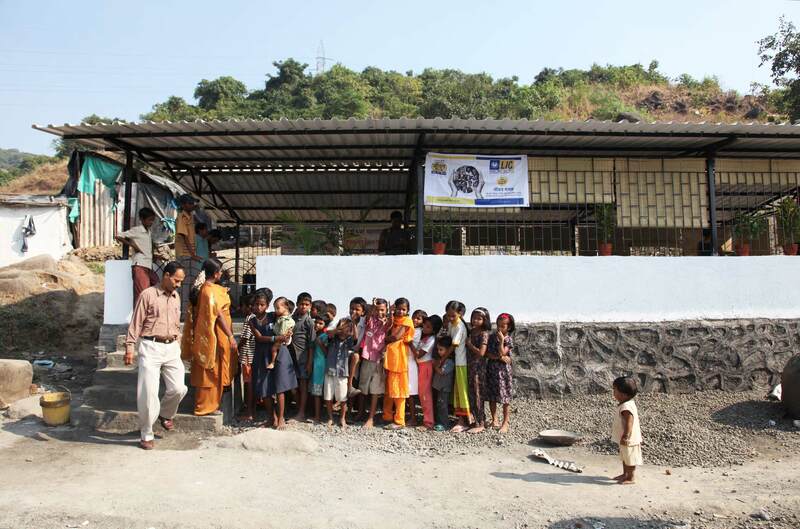 The second quarry classroom for children’s bridge classes was constructed by students, researchers, a local contractor and the stone quarry worker community at Tata Press quarry in November 2010 over a 7 week period. 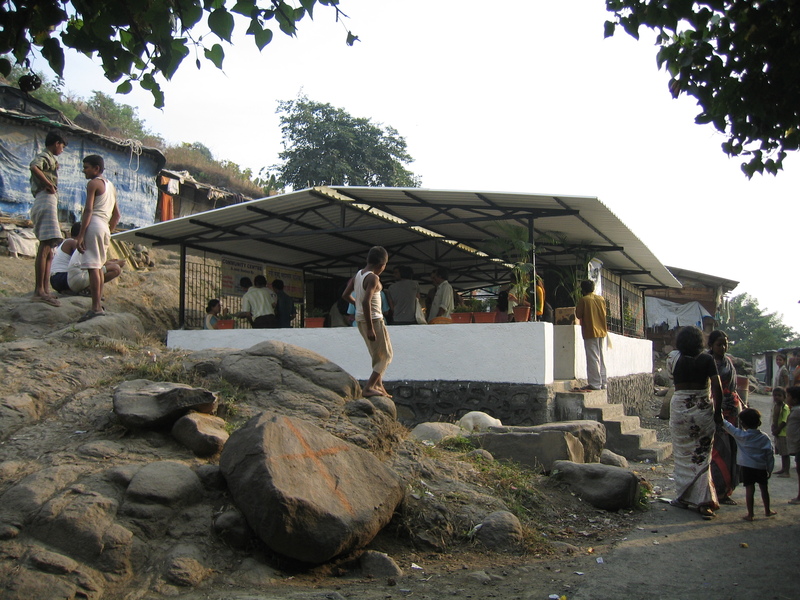 Since its completion, adult literacy classes have been introduced in the settlements and the women’s self-help groups now have a space to meet and start up livelihood initiatives such as sewing classes, where the local Lion’s Club have donated sewing machines. 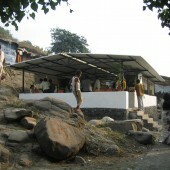 Incremental improvements by the communities themselves (such as additional security grilles and a gate around the veranda of the building) have extended the use and sustainability of the classrooms. Discussions are currently underway between the Projects Office, ARPHEN and representatives of the Quarry Owners’ Association regarding potential sites for a proposed 3rd classroom for the quarry worker communities. 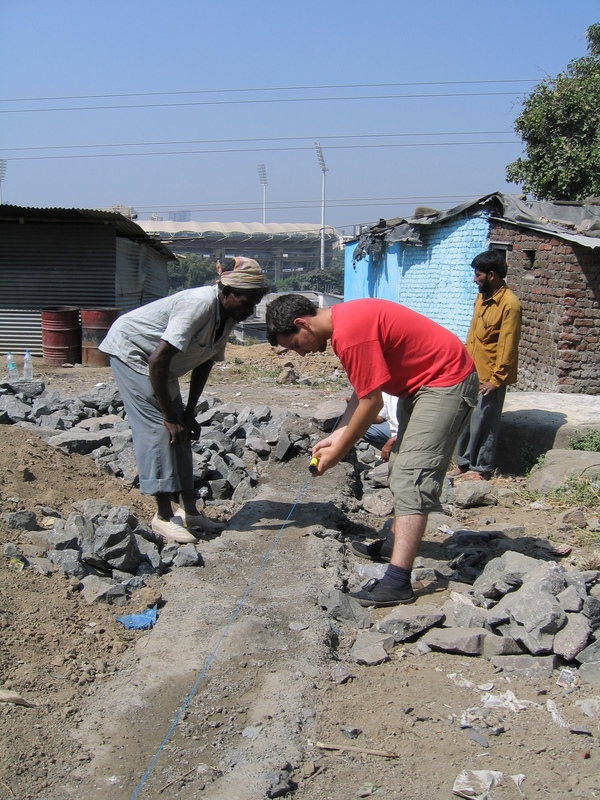 The Quarry Owners’ Association has also offered to make a small donation towards construction of the new classroom in the northern sector of the 5km quarry belt, enabling ARPHEN to finally extend their work to the people living in this area.